ONLINE WINE ORDERING NOW AVAILABLE! 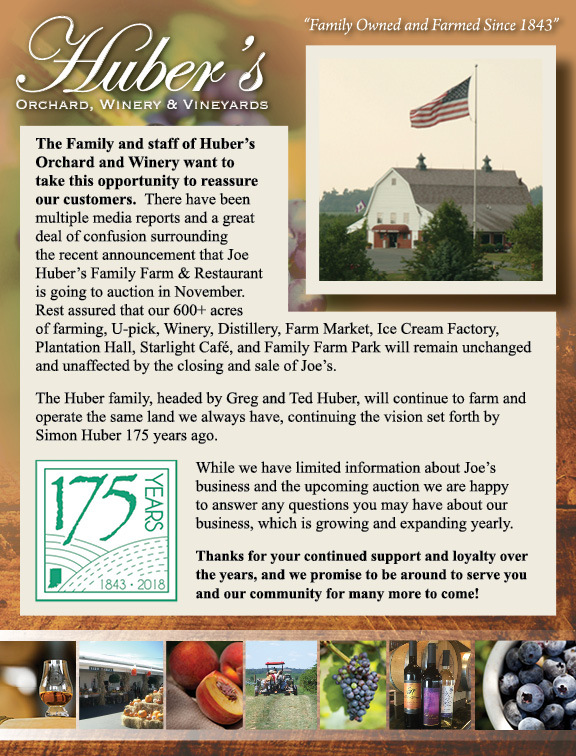 HUBER WINERY TAKES TOP AWARDS! HUBER’S STARLIGHT DISTILLERY WINS BIG! We promise to be around to serve you for many years to come! 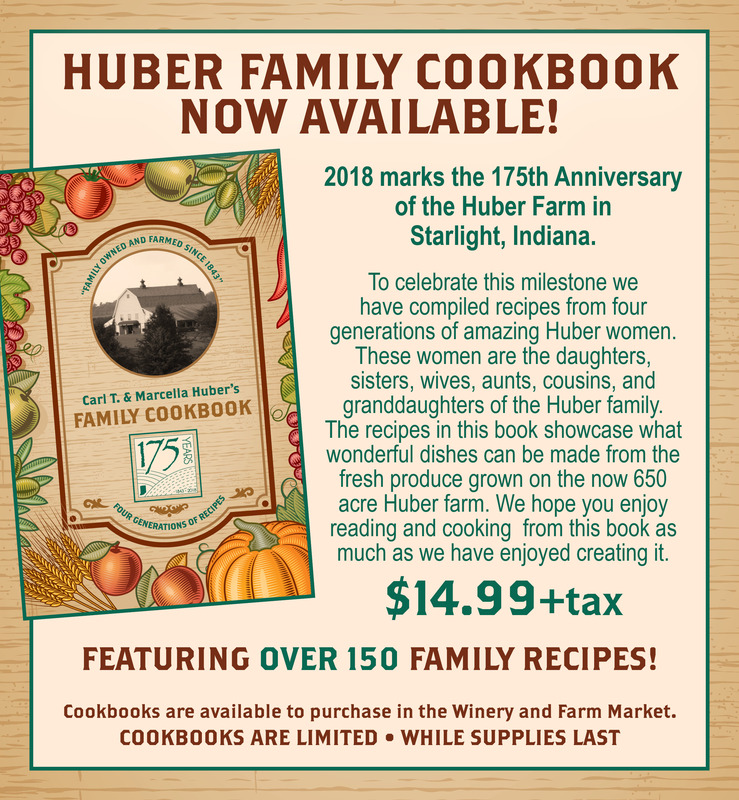 Featuring over 150 family recipes! Available to purchase in the Winery and the Farm Market.